My family has been on a long journey. You know those posts titled, “How this family of 5 lives on under $xxxxxxx per year?” And they get you all amped up that maybe you, too, could live on that little and invest the rest? When I started this blog, we lived on far less than $xxxxxxx a year. If I revealed the exact number, your jaw would hit the floor. There was nothing inspiring about it. It was hard. It was demoralizing. A lot of days, it seemed like there would be no end to the struggle. For a while, we worried about things like food. Then we got wise and humbled ourselves enough to get assistance for our family. There were children involved. This was no time to fight a battle of the ego. During this time, I went to school. My husband worked full time. I applied for mad scholarships that helped fund our day-to-day, and did crazy side hustles like entering medical tests for cash. It was stressful, but we were doing all the right things to move up and out of that perpetual stress. Because it is stressful. A lot of times when we read about the poverty mindset, we read that the thought process itself is debilitating. I disagree. Maybe it does different things for different people. In our case, that mindset motivated us to do everything we had to do to in order to provide. Get by. And eventually, move up. Move up we did. I graduated and got a job that paid far more than the $10/hour I had been making previously. (Because that’s what happens when you have a high school education and live in a city where education is one of the top two economic drivers.) My husband cut some of his hours so he could go to school, while applying for those scholarships along the way to compensate for lost income. Our situation had dramatically improved on paper. But when we lost assistance, we had to allocate a large portion of our newly earned cash flow to the things it had been covering. While we sometimes flew without health insurance for the adults in our family before the ACA, tax penalties made it a bad financial move to not purchase a plan that runs us hundreds of dollars per month. So we kept hustling. Our tax returns looked better, but that poverty mindset persisted. We were in this weird middle ground where you aren’t, in fact, below the poverty line anymore, but in order to maintain that adjusted gross income, you have to keep living like you are. There was always something to do. There was always more work. There were always more chores. I, for one, was exhausted. Things eventually got a little bit better. Today, we don’t make anywhere near six figures, but our efforts are evidencing recognizable rewards. That poverty mindset is tough to beat. After living in it out of necessity for so long, I hadn’t allowed my brain to shift gears and realize that things were finally going to be okay. It doesn’t help that I write about personal finance, and as a result have very lofty goals for my retirement, house fund, and income. We’ve always been great at managing our finances, and have stellar credit scores. It was always the income that was lacking, despite our hard work and practiced responsibility. Since our numbers had changed, I had been stuck in this backwards ambition to be so wildly successful, not in spending, but in saving and earning, that I was doing a reverse version of Keeping up with the Jones’. For the first time in a long time, I’m giving myself permission to breathe. I can do this because we’re lucky enough to no longer be in a position where relaxing will destroy us. Something funny has happened since I gave myself that permission. I feel calm. I feel less panic and stress in my life. I’m more productive, and am actually able to work less because of that productivity. That stress was what allowed us to move up so quickly, though nothing about it felt quick while we were in the midst of it. It is a tool that I wish no one would have to wield, but I am nonetheless grateful for the role it played in our lives. Today, I’m able to set it down. Put it in a drawer. Pray that I’ll never need it again. My success no longer depends on that stress. It depends on all the tools and skills I have armed myself with throughout this journey. It depends on my active decisions to engage daily with happiness. I’m out of survival mode. This entry was posted in Think on November 9, 2015 by femmefrugality. Your right that poverty mindset can overtake us. Constantly working can not be fun though. it’s great that now you are able to sit back and enjoy the fruits of your labors. Sounds like your both hard workers and need a relaxing break. Honestly, we’re not even taking a break. I’m just not taking on any more work at the moment, while maintaining everything I already have going on. The shift in mindset has been enough to relieve a lot of that stress… I’m not constantly stressing that I won’t get everything done, because I will, and I can finally trust that things are going to be okay. This is an important story, Femme. Some people don’t want to tell this part of their journey, but it’s the kind of story that helps others see that there is a way out. It’s not a fun story, but I think there are more of us that have gone through it than anyone is aware of. Long lines at the church soup kitchens and tent cities tell a whole different story than we all might like to accept as the truth. Thank you, Kay. This blog has always followed our journey, but it has been difficult to be this raw. I think a lot of times we focus on the rah rah, law of attraction, hard work will get you anywhere side of this issue, and the reality is just so different. This is a really epic post. Sometimes I wonder about the poverty mindset, or really any other mindset that isn’t mine. A paper that I wrote some years back identified $23K as a “tipping” point for families of 3 (with two adults) ($28K for one kid and one adult). Basically from the tipping point to nearly median income ($35k), getting ahead is next to impossible. Not because you aren’t earning more, but because very basic upgrades like a consistently plugged in fridge, an apartment without too many roaches (I wrote the paper in the South where some roaches are a fact of life), consistent transit, and of course paying for amenities once provided by the government or nonprofit sources eats up the majority of the income earned above the poverty line and below that level. For me, this always explained why it’s possible for a middle class kid to “get ahead” but tough for a lower class or even a lower middle class kid to get ahead. It seems like the problem may be even more pronounced for adults. I think a big thing with poverty in youth is cultural norms and proximity to opportunity. I did not grow up in poverty, though I lived the vast majority of my adult life in it. One of the cooler things that’s come out of it is that those around me see that it’s possible, where before there were limited examples. I lost my proximity to opportunity for a while, but am at least aware of the cultural norms that have been getting me back to it. Even though I find many of those norms shallow and frustrating. And it’s no joke. For a good while, our state had an asset test that prevented saving beyond a certain amount. It has since been reduced or possibly even removed (I stopped paying as close attention,) but it was maddening. It discouraged savings, and made the difficult leap even more treacherous. While we never lived below the poverty line, there were times when money was tight. I mean, it just wasn’t there. Some of it was due to debt, some of it was due to poor budgeting, some of it was due to things beyond our control. Even when we both were working full-time and part-time, money just didn’t exist for anything beyond necessities. It’s exhausting and hard and it takes work to not think like that anymore. Like you’re always preparing for the next thing that’s going to happen. And having kids definitely adds an extra layer of stress to that. I’m glad your situation has improved to the point where you don’t have to take on anything new and you can breathe and get your mind in a good place. That’s a HUGE step. EXACTLY. And the next thing around the corner inevitably does happen. When you can’t (or are disallowed) from saving any substantial sum of money for an emergency fund, it’s scary as all get out. And thank you! It’s a really good place to be in. I’m still getting used to it, as even though we’ve been here for a second, I’m just now getting out of the mindset. You’re so right…it’s an incredibly hard shift to make. I feel like I’ve been all over the spectrum. I still don’t feel like we have enough — probably because we don’t for our impending expenses, though our income is pretty respectable. But I’ve definitely gotten a little looser with the purse strings. Sometimes in good, enriching ways, like actually enjoying a brief trip with my husband or in finally paying (too much) for water delivery because of our health problems. But then there are ways that are just sloppiness. I grit my teeth when they happen, but I also try to not beat myself up too much about it. Because, like you, I’ve been enjoying not being panicked all the time. Still, we’re looking at a reduction in income next year, so we’re going to have to refocus our energy to make sure we don’t dip into savings to get by. That’s when I’ll be battling the poverty mindset and an actual sane way to approach finances. When there are health problems involved it’s even worse. I don’t know if it’s some sick kind of coincidence, but the people I know on disability are some of the hardest working and most independent people I know. They’re robbed of that independence, and then have to do what they can to get by, constantly dogged by the frustration of not being able to put their work ethic into play. It’s a sobering, maddening thing to watch. Sloppiness has happened in our lives, too. To be honest, I attribute most of it to the mindset. Because it happened after we were all right, but we were still working too much. We started spending (little bits, but comparatively with our past big bits) on convenience because there just weren’t enough hours in the day to get everything done that we needed to. That is so awesome you are at a much better place. I think there is a difference between being frugal by choice and being frugal because you have to. It’s stressful when you have to. I’ve been very close to living below the poverty line if you want to consider the cost of living here. I think the only relief I has was knowing I had a lot saved up in retirement, but I never wanted to touch that. But if I didn’t I’m sure there would have been more sleepless nights. Thank you for hitting on that point! Too many times I hear people say, “Well, I live like that, too, so I can do xyz.” IT IS NOT THE SAME. You are making choices to better yourself in some way, which is empowerment. Having to choose between food and the electric bill is not. It’s not about savings. It’s about not spending on extraneous things because you don’t have money to make that choice in the first place. And I am totally with you on the cost of living thing. I’ve lived too many place to NOT notice the dramatic difference in how my earning power affects my standard of living power. I am so happy that you decided to take a step back and give yourself permission to breath. I sometimes feel that way too and after reading this post I can understand why I sometimes feel like this. I’m so glad that you shared your story, Femme. You and I have so much in common. I actually wrote a similar post on Monday for Shoeaholic No More. 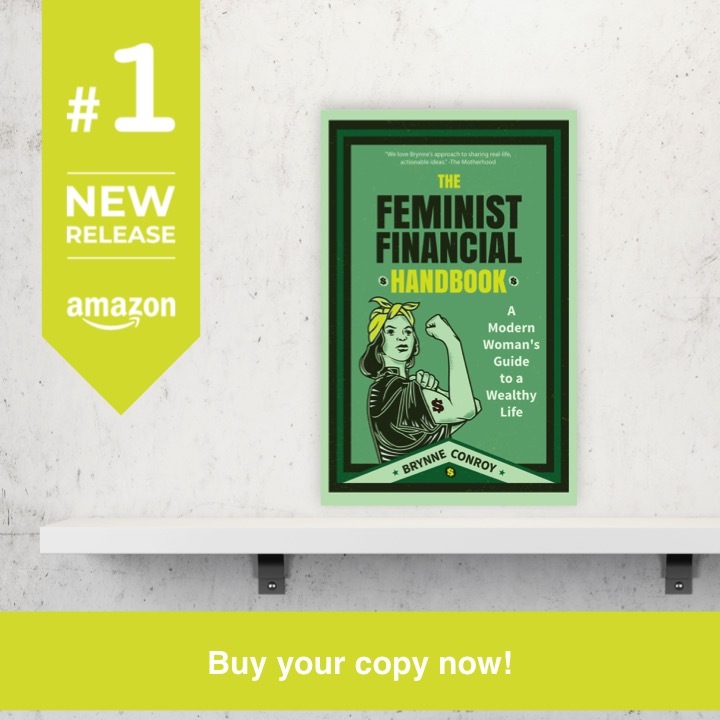 It’s refreshing to know that I’m not the only one in the personal finance community who struggled to get to where I am today. I’d say this qualifies as an epic post. I know bits and pieces of your story, but I feel I’ve learned a whole lot more after reading this post. Thank you for sharing it. I’m so glad you’re enjoying some of the freedom that your efforts have won for you. I’m willing to guess that there are millionaires out there who still suffer from the poverty mindset. Thanks for sharing. I’m glad to hear you are out of survival mode! 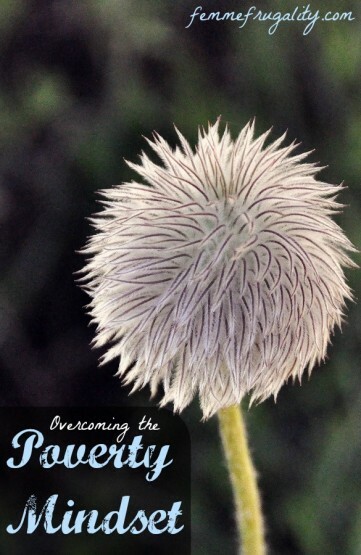 Having grown up in poverty, it took me about 29 years to overcome that ruthless survival mode. Good luck in your journey! This is such an inspiring story. It’s definitely hard to overcome the poverty mindset. I also feel like I am somewhere in the middle between not making enough to survive and needing assistance and not making quite enough to get ahead but I’m making progress month-by-month. Working can definitely stress you out overtime so I’m definitely going to be working on taking steps to improve my work-life balance next year. I was recently out of commission with the flu. It was really hard for me just to rest and get better. I wanted to keep working, side-hustling, and getting stuff done! We still have a far way to go to get out of debt and reach our goals. I often think about MMM and living like my “hair is on fire.” But it’s not really on fire. Taking a day off is all right once in a while.